After living in Tuscany for so many years, November has come to mean many things to me: rainy days, changing colours in the landscape, vino novello (‘new’ wine, that young, grape juice-like wine produced from September’s harvest), white truffles, a cappuccino in the morning to warm up and above all, the olive harvest and that first press of bright green olive oil. There is nothing like this thick, grass-coloured oil, which I have never been able to find the likes of outside of Italy. It has an equally green flavour – pungent, fruity, peppery and so fresh you could drink it straight out of the bottle. It’s around this time of year we’re usually given a bottle from family and friends who press it themselves from their own olives. Although it’s treasured like liquid gold, it never seems to last very long. You find some excuse to drizzle it on anything and everything. It turns plain, even stale, toasted bread into the most delicious snack. Thick, warming soups like a chickpea or farro and bean soup become instantly uplifted with a bright green splash of new olive oil. A steak needs nothing but a generous pinch of sea salt and some olive oil to reach perfection. Forget the little dishes of stale olive oil, sitting on restaurant tables to dip your bread into – even worse, with balsamic vinegar too. This isn’t the way to enjoy olive oil. As Gillian Riley puts it, very politely, it’s a foreigner’s “misguided way to enjoy them.” Olive oil has a shelf life, and quite a short one too. A good friend of mine in Florence once lamented that she used to give very good olive oil to friends and family in the UK as a gift, only to visit them a year later and find it still sitting on their pantry shelf, only partially used – perhaps just making an appearance for special occasions. Sensitive to heat, light and air, olive oil should be kept somewhere cool and dark, sealed, to prolong its life, but the other trick too is to use it. A one-year-old olive oil is one that is probably past its prime, though if it has been stored properly, you may be able to keep it a few extra months. While the fresh, green olive oil is used mainly for dressing up dishes, extra virgin olive oil – and always a good quality one – is the basis of all Tuscan cooking. 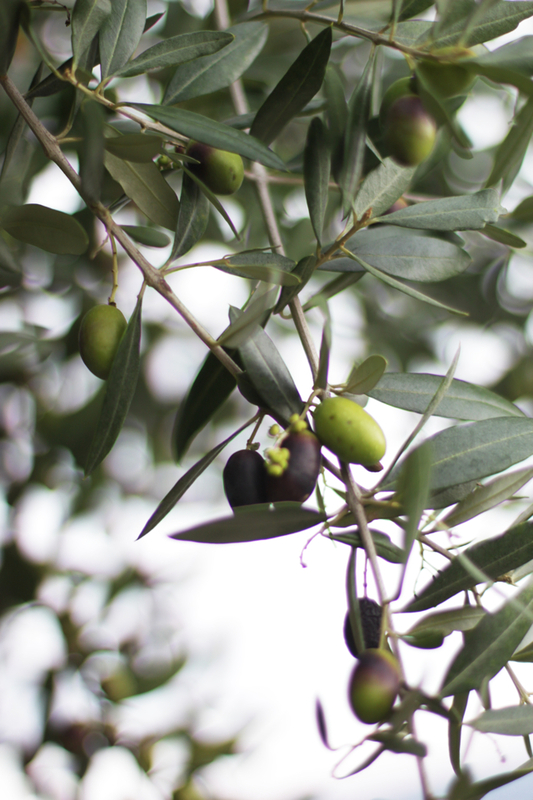 You’ll see plenty of it also along that northern coastline of Liguria and all over the south, such as in Campania or Puglia, where you can find the biggest olive trees you will ever see. 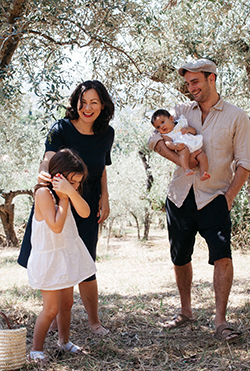 All these regions are blessed with a prolific tradition of growing and harvesting olives. Then of course there are brined olives, the result of the challenge of converting the bitter fruit into something delicious. Up and down the peninsula are not only different techniques for curing, brining and flavouring, but also olive varieties, creating a range of delectable choices for the table. 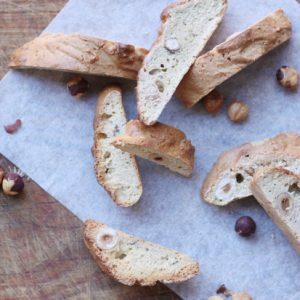 On their own make a delicious addition to any antipasto, but are also often used to add a punch of flavour to breads, pasta sauces or stews. 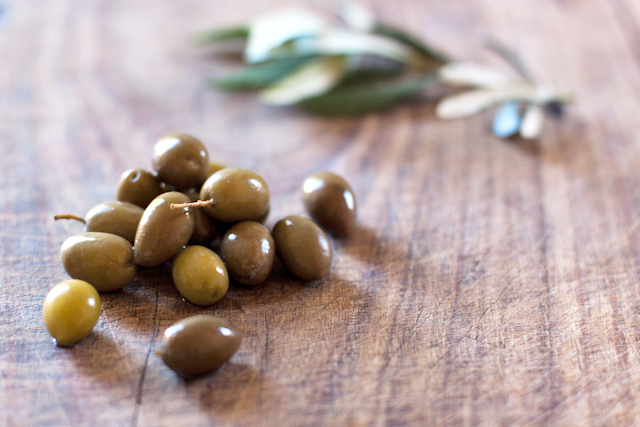 My favourite to eat right out of the jar are the Ligurian taggiasche olives – small olives packed with flavour that mutate from green to dark brown, depending on how long they were left to mature on the trees. As usual, the food bloggers of Italian Table Talk are looking at the olive harvest with different points of view. Valeria from My Love Life Food looks to her second home, Piemonte, and their humble but classic bagnet vert – green sauce. Giulia talks about her dried black olives with garlic, chilli and orange peel. Jasmine takes a cue from her Jewish traditions with an olive oil crostata. I wanted to highlight a rustic, Tuscan stew. The salty, sharp flavour of olives pair wonderfully with the earthiness of game meat in a stew and it was this that made me search out a recipe for a traditional Tuscan peasant dish, coniglio con le olive, rabbit with olives, also commonly called coniglio alla cacciatora, hunter’s rabbit stew. 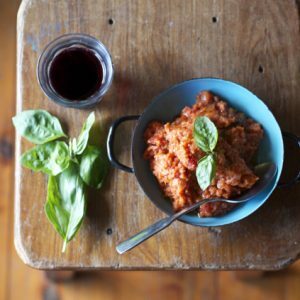 The traditional Tuscan cacciatora recipes are much like you can imagine any good, peasant dish to be – a dish that is made with what’s on hand. In fact, the story that explains the name of the dish, says it all really. An unsuccessful hunter, determined not to come home empty handed to his hungry children, spies the escaped rabbit of neighbouring farmer (it was and still is very common for farmers to keep their own rabbits for eating), and on the way home, forages for some wild herbs to go with it. Some stories (and recipes) involve the hunter also finding some wild mushrooms, depending on his luck and the season or, really, what’s on hand in the kitchen. As it’s dish that follows what’s available, some cacciatora recipes will ask for black olives, some use green – use your favourite ones, as long as they are real, quality, brined olives not those things that come in can or a jar with a uniform hole where the seed used to be and taste of nothing. Some recipes are in bianco, in other words, simply without the tomato. Some call for red wine, others for white. Again, it’s a question of what you have on hand in the kitchen but if we’re talking tradition here, I’d say go with red wine. It’s what a Tuscan peasant would have always have on hand, opened, in the kitchen and on the table. Rabbit is a wonderfully rustic meat to cook with and this is one of those great peasant dishes where the flavour is drawn out of using the bones and the meat is cooked until it fall apart into the sauce. If you can, use wild rabbit for a more traditional flavour – earthy, rich and darker than farmed rabbit, which is more delicate, a little like chicken. If for some reason you’re squeamish about using rabbit or you cannot get it fresh easily, you could substitute with free-range chicken. But the best way to make this dish, and what also makes the most sense (it is named after a hunter, after all) is to use game. This stew is perfectly suited to cooking any game meat, so in Tuscany you’ll find it in many guises – instead of rabbit use pheasant, guinea fowl, or even better, wild boar. Artusi has a recipe in his 1891 cookbook for venison alla cacciatora. The long, slow cooking, the briny olives and the sauciness make for an extremely tasty, fall-off-the-bone stew, a wonderful way of cooking game meat. One warning, while you’re eating this you’ll find that many of the bones fall out on their own in the stew. You may want to be wary of the smaller bones – or if you’re careful enough while chopping the rabbit up, you can try to avoid using (or at least chopping through) the rib bones, which are the smallest, sharpest ones. 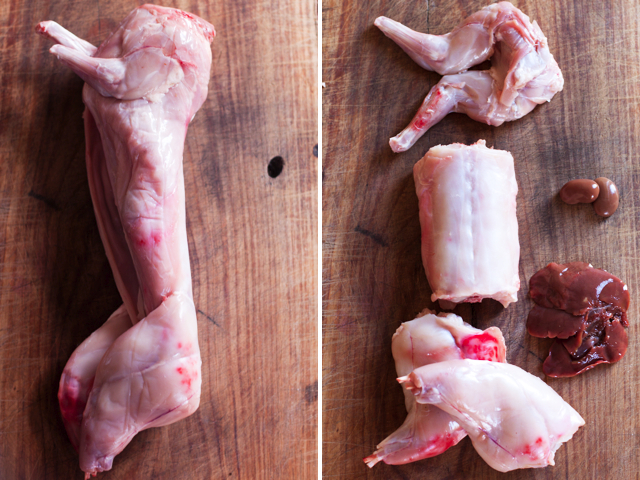 Prepare the rabbit by rinsing and patting dry, removing the kidneys and liver if they are still in tact, then chopping into pieces on the bone much like you would a chicken – for example, hind legs (these can also be cut in half again), front legs, backstrap and tenderloin. Depending on the size of your rabbit, you may not use it all – in this case, you can save the smaller bits and the inner organs for making a delicious ragu. Dust the pieces of rabbit with flour and sear them in a deep skillet suitable for a stew with several glugs of extra virgin olive oil until golden. Remove and set aside. In the same pan, sauté the soffritto – the chopped onion, carrot and celery – over a gentle heat until the onion becomes transparent and soft. Add the garlic and fresh herbs and continue cooking a few minutes until fragrant. Add the rabbit pieces, season with salt and pepper and add the wine and cook a further couple of minutes. Add the tomato to the pan and bring to a gentle simmer. Cover, allowing the stew time to cook until the meat begins to just fall of the bone. Check on the stew from time to time. If the sauce is getting too thick or dry, top up as needed with some good stock or water. Check the meat to see if it is tender – you want to get it at the point where it is just falling off the bone. In the mean time, remove the pits from the olives if needed. It sounds tedious but really it’s very quick if you just squash them with the flat edge of one of your heavier knives – the seeds can easily be pulled right out. Add the olives to the stew right at the end. Serve immediately with some fresh parsley over the top and some potatoes, roasted perfectly with just some sea salt, rosemary and extra virgin olive oil. In the name of frugality, you can enjoy this dish in more ways than one. 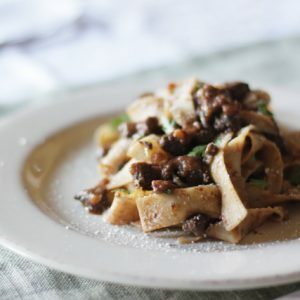 If there are any leftovers, remove the bones (easy enough when they are cooked like this, they will just come away) and use it the next day simply tossed through some thick pappardelle pasta as a ragu. If there is no more meat left, but plenty of that delicious sauce, same thing, only it would be called coniglio scappato – runaway rabbit. Keep up with the monthly Italian Table Talk by following the hashtag #ITableTalk on twitter and the following blogs: Juls’ Kitchen, My Love Life Food and Labna. Good and fresh olive oil is a necessity when cooking. True. I am a big fan or rabbit (my Swiss grandfather used to raise rabbits for food), so your comforting stew really makes me salivate! A wonderful dish. Thanks for sharing Rosa – so you have rabbit raising in your blood! Interesting! But your dish sertainly looks tempting!! Thanks Regula! I’m so curious now about your rabbit story, I would have thought that as a traditional British food lover you would love rabbit! 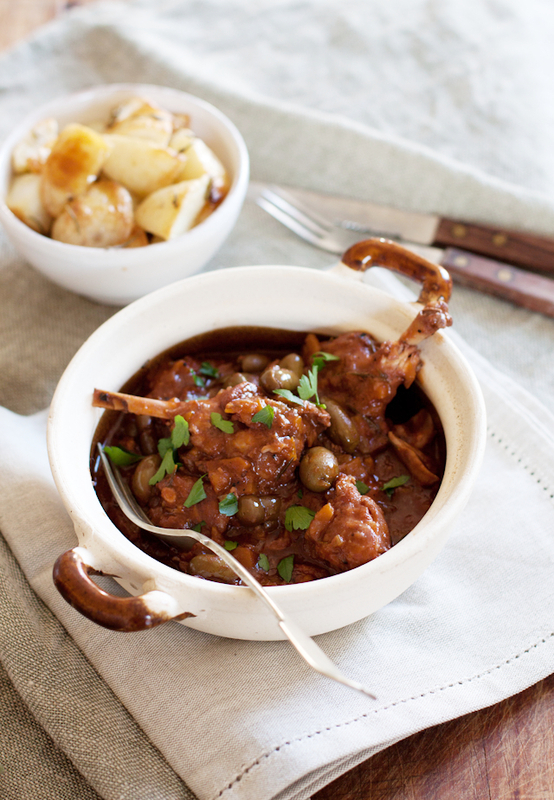 Love your rabbit stew and your insights on olive oil and olives! As always a very enjoyable new issue of Italian Table Talk. I enjoy rabbit but rarely think to buy it. I will keep this recipe on tap though since we have an Amish market not too far that sells fresh rabbit. I love the addition of the olives. Your stew looks amazing. I love rabbit but have never cooked with it. I’ll have to start looking around for somewhere to buy some. It’s quite easy to cook with, but lends itself best to stews and slow-cooking. If you like rabbit, you’ll soon become addicted to cooking with it once you start! One of the many things I like about your posts are the intros. You find yourself in the middle of the story and you already love the cozy feeling of talking with a friend. Aw, thanks Giulia You’re right, this is a true family dish and one that deserves to have lots of good food memories linked to it! I’m really enjoying this whole Italian table talk thing, and the photos of your Hunter’s stew are making my mouth water. I will definitely be making this with some sort of game soon. So glad you enjoy it! I admit I originally wanted to make this stew with wild boar but they are harder to come by here in Australia than in Italy, so rabbit was the next best choice – I don’t regret it, rabbit is lovely but my favourite version of this is the wild boar with olives! Whenever we used to arrive at our house in Italy for the summer, my parents’ friend would have left a whole skinned rabbit in the fridge. As a little girl I used to complain that it looked ‘scary’ but now I’d absolutely love to come home and find one to make into this delicious stew! As for olive oil, I think there’s honestly nothing better than the best pressed extra virgin oil drizzled over toasted bread with a sprinkle of salt. Wow, what a nice welcome home gift! In Italy they are slightly more confronting, I agree, as they also leave the rabbits whole, heads and all! And you’re right about olive oil on bread – wonderful simplicity. 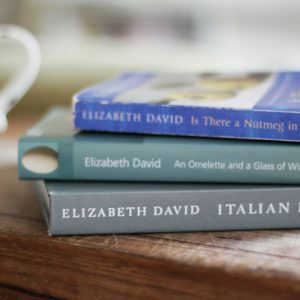 wanderfully written about the shelf life of olive oil and the way to store it –I can’t stand olive oils sold in the clear bottle! Wanderful recipe; I found out that the UK is quite ok with rabbit, especially in Essex, so I might be able to find some fresh one and try it, sometime! You write beautifully Valeria, don’t worry! The UK has a long tradition of eating rabbit, they might be old fashioned recipes but it seems to be coming “back into fashion” here especially and now you see it on fancy menus when it was mostly a cheap meat used for things like pies! I’m sure you could find even some good wild ones over there! Such an awesome dish. My freinds and I will be sharing this dish on the weekend at our cottage in Northern Ontario, Canada; with all our roots from Northern Italy, we will be adding Polenta as a side. It reminds me of my younger years when my father would come back from a day of rabbit hunting. I anticipation is overwhelming. Thanks for your comment, what a great food memory. 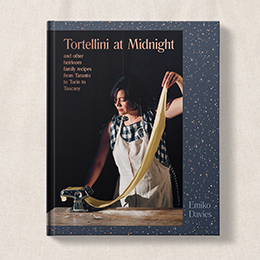 Polenta would be a perfect accompaniment to this – hope you enjoy it! I have discovered your blog and I love it! I love olive oil too and so does my family. I know there are many different varieties and tastes, some better for salads, others for cooking. What, in your opinion, would be the best oil to fry schnitzels with? Is the olive oil flavour too strong for this, and does it have a good heat tolerance for frying? Hi, I am making this gorgeous dish as I write. Can you tell me approximately how long this should take to cook? Hi! You want to cook it until the meat is falling off the bone, about 90 minutes, though if using wild rabbit (as opposed to farmed) it may take a little longer.